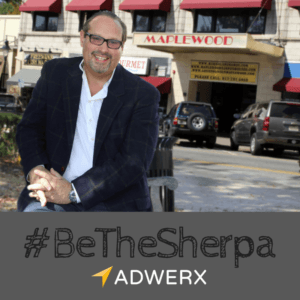 Adwerx CEO Jed Carlson put a client’s toughest question to real estate agents: “Why do I need you?” His answer was that agents are like Sherpas: they reduce the risk of the transaction, they help carry the load and they comfort the client along the way. With this mindset, no amount of technology or automation can ever disrupt the role of a real estate agent. “Be the Sherpa,” he said. We asked leading real estate agents to share a particular moment when they got to #BeTheSherpa. 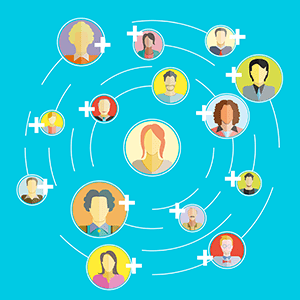 Real estate portals offer consumer convenience and the ultimate experience in window shopping. And they can take a home shopper from browsing to buying rather quickly. So where does an agent fit in? New Jersey-based agent Mark Slade has faced off against the portals, proving an agent’s value is in his or her local expertise and ability to focus on the client’s real needs. Mark then started searching for homes in a neighboring town that offered greater square footage for the same dollar. Then he found a new listing in the original town that had uncharacteristically lower taxes for the same purchase price. As a local expert, Mark was also able to help with what is an important factor for many families: schools. And in Mark’s home turf, there are a few schools with more elevated scores than others. But he knew that test scores didn’t tell the whole story. This kind of “boots-on-the-ground” insight is a perfect example of Sherpa technique — and Mark Slade is ready to help his clients climb the mountain.